Clinical Associate Professor Mark Haber is a leading Sydney shoulder specialist and renowned Australian orthopaedic surgeon. Experienced and highly skilled, Dr Haber uses the latest shoulder arthroscopy (keyhole surgery) techniques to address shoulder pain and rotator cuff tears. He has performed over 2000 shoulder arthroscopies during his career and continues to pioneer new techniques to improve surgical outcomes. Dr Haber was honoured to be the first surgeon in Australia to perform a computer assisted shoulder surgery in January 2017. 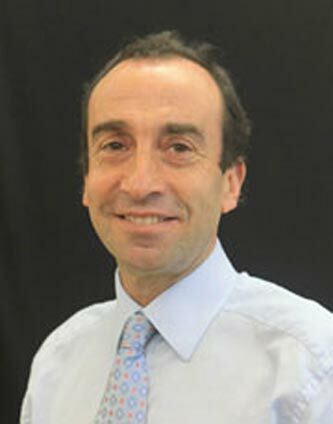 He is renowned among his peers and is a recognised pioneer of shoulder surgery, teaching advanced arthroscopic shoulder techniques to surgeons across Australia, Asia and Europe. Dr Haber’s groundbreaking shoulder surgeries have been covered extensively by the news media including The Leader, Illawarra Mercury and nationally on Channel 9 News. In January 2017, Dr Haber became the first surgeon in Australia to perform a computer assisted shoulder surgery. Computer Assisted Orthopaedic Surgery (CAOS) enables substantially increased surgical accuracy and precision with the aim to significantly improve long-term patient outcomes. Dr Haber’s work as a pioneering Sydney orthopaedic surgeon have been covered in newspapers and on television including Channel 9 News. To enquire about the suitability of CAOS treatment, please click here to book an appointment. Arthroscopy, also known as keyhole surgery, is a minimally invasive surgical technique performed using long thin instruments inserted into the body through small cuts (incisions). These small incisions are typically just 0.5-1.0cm in length, replacing the traditional long incision which can extend over 30cm. Keyhole surgery significantly reduces rehabilitation time and can often be performed as a daycare procedure.